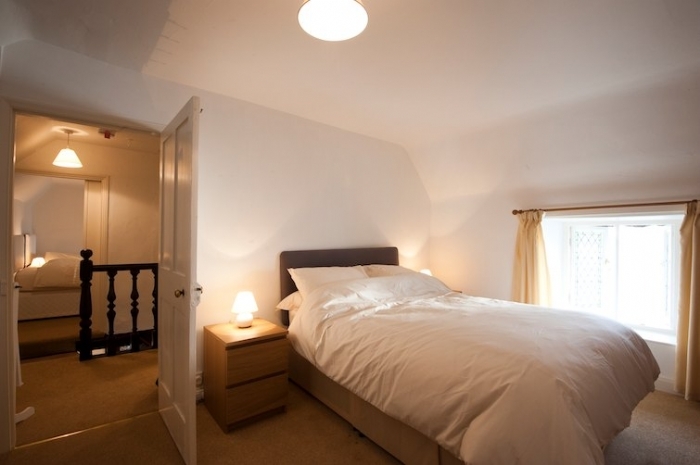 Discounts available outside the peak season for couples staying for 7 nights using one bedroom only and for up to 4 people using two rooms only. This is a great house in a fantastic location with lots of bathrooms and an amazing garden. 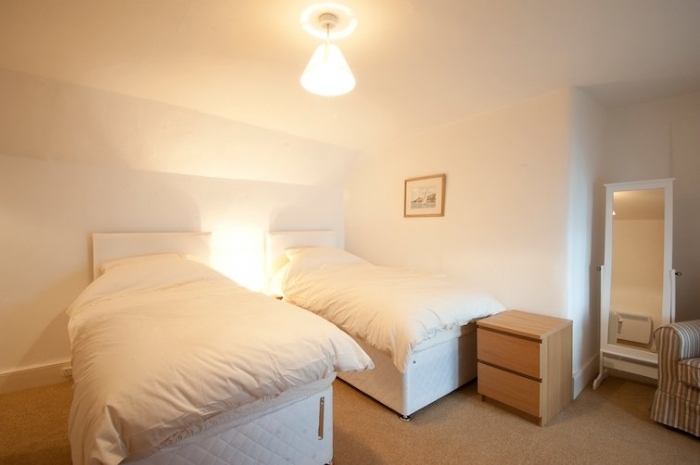 Very warm as it has an ever hot in the kitchen, well equipped and lots of sitting areas, beautiful views of the sea and St Mawes, we would love to stay again. Only criticism would be the shower which isn?t very powerful, other than that it?s a great place to stay. We loved this place. In need of some renovation in places eg utility room cupboards coming off hinges. The agar oven was a challenge! There were some cleaning issues, the hot plate which we did not use was dirty and the wet room had not been cleaned. Parking was difficult at garage we could park on the road as it was low season. These are minor points. The garden was great so long as children and dogs are closely supervised due to high ledges. 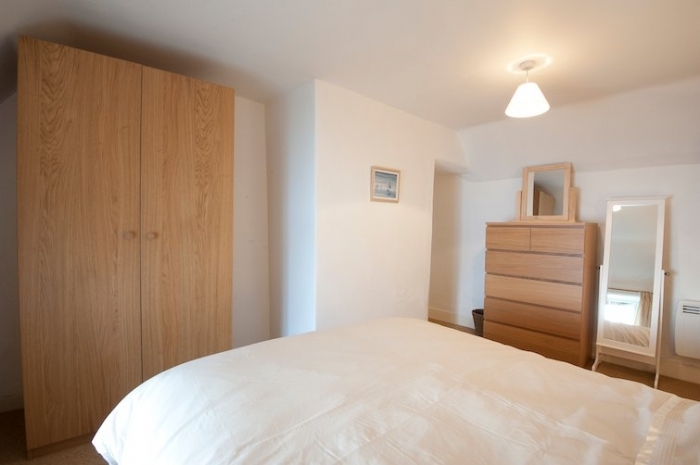 This is not a good place if you are looking for an upmarket place with full en-suite. For us the place was great we loved the history the views and all loved our stay. 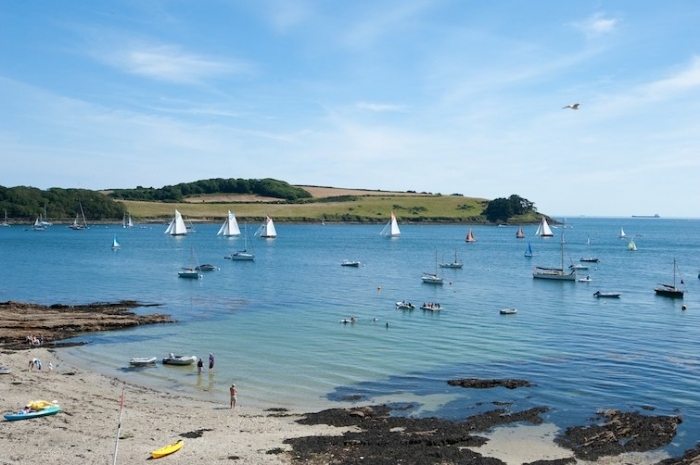 Lovely situation in St Mawes, right by Tavern Beach, with fantastic views. You might want to be wary if you have small children as the door opens onto the main road, although there is a little iron baby gate. Stay marred by Aga not functioning - wouldn't even melt cheese... so we ate a lot of microwaved soup. Obviously Aga service repair don't happen overnight but a back-up hob would not go amiss. We had to chop up our fine haunch of venison (meant for roasting) and slow cook it in a stew for an entire day. Note that they do not supply any logs, just kindling, which is a disappointment after driving for five or so hours in the sleet. Not a long walk to the Co-op though. I'd book again, but be more prepared for Aga horror and log situation. Reply from leach family We are sorry to hear of your problem with the Aga. This has now been fixed and the first time this has occurred since we started letting in 2011. It is good to hear you would come again. 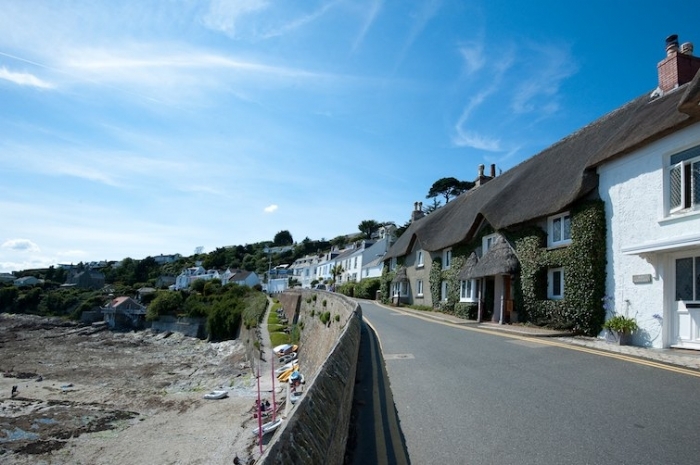 Our family of three generations and a dog has stayed at Seacliffe Warren on several occasions in the past few years, and we keep returning because we love the cottage and its location above Tavern Beach, a short walk from the centre of St Mawes. We have our favourite walks, boat trips, pubs and pasties. 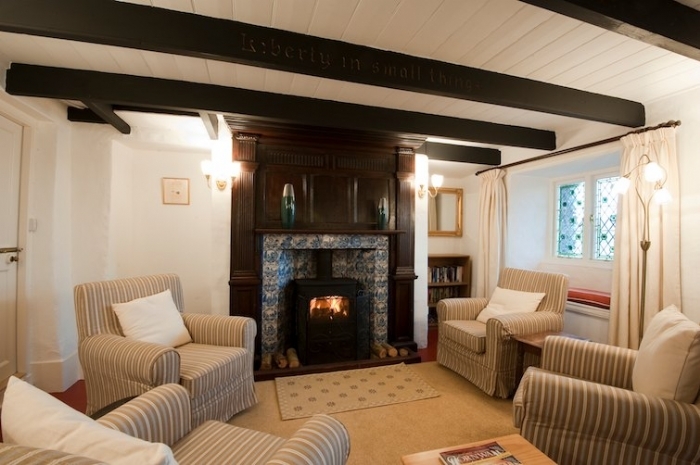 Autumn isn't complete without a stay at Seacliffe Warren. However it has to be said that the house is in need of some TLC. The owners need to address a rather long list of overdue repairs and maintenance. Their rental income is certainly high enough to cover the costs. We have already booked our holiday next year, and hope that by then, the niggling problems will be resolved. Reply from leach family Despite the niggles we are pleased to hear that you have booked again for next year. We will contact you directly for your suggestions for future improvements. Thank you for your feedback. 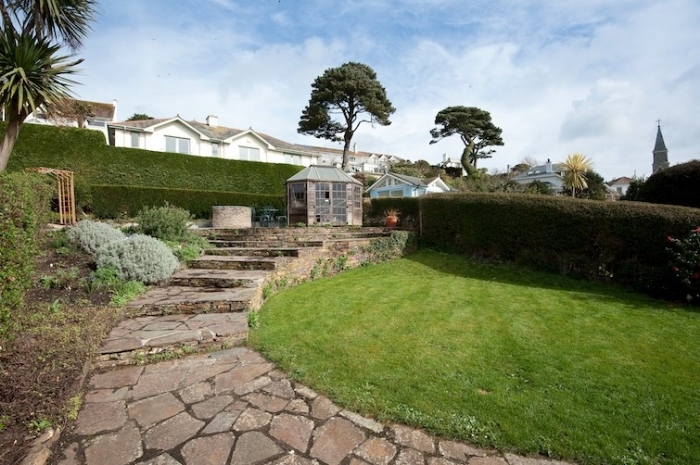 Great location and a fabulous garden at the back which is wonderful for evening drinks etc. Sadly the house is very dark especially on poor days. Also it does get quite warm with the aga going all the time meaning one has to have the windows open at the front bedrooms which is noisy at night. Remarkably clean given that dogs are allowed. 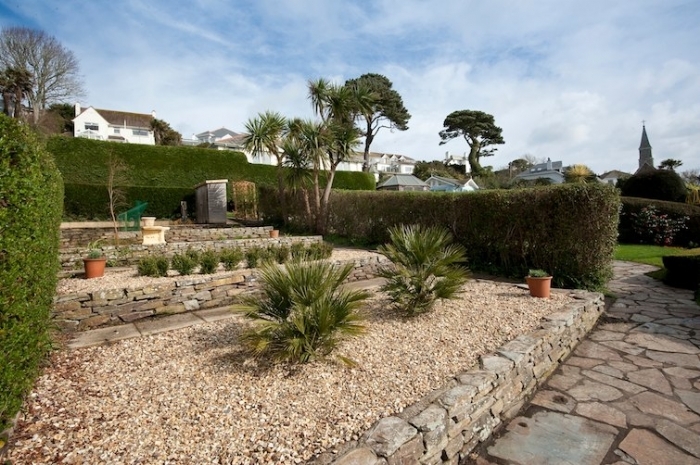 A well equipped property within easy reach of all the amenities, particularly the Rising Sun and Tresanton. 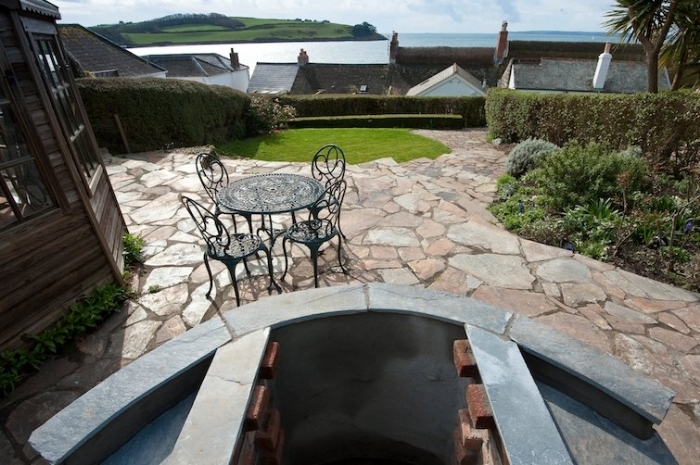 We loved the AGA and the rear garden provided an added bonus, not just for our dog, but for us as a very pleasant place to relax and enjoy the views over to St Anthony's Head. 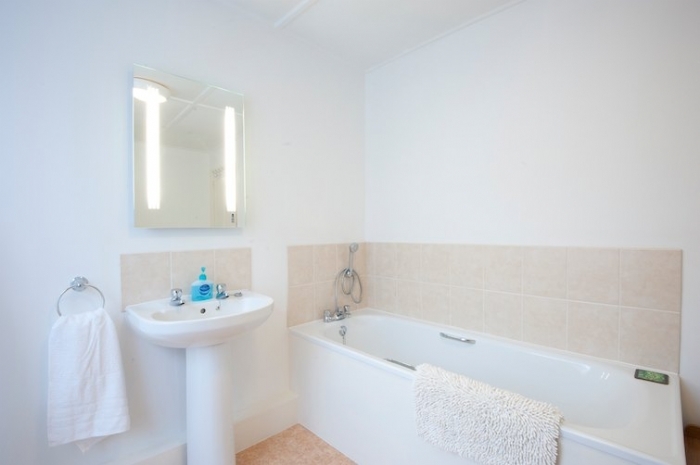 The only negative is that the property suffered from weak flow from the showers, Power showers would elevate this property from excellent to outstanding. 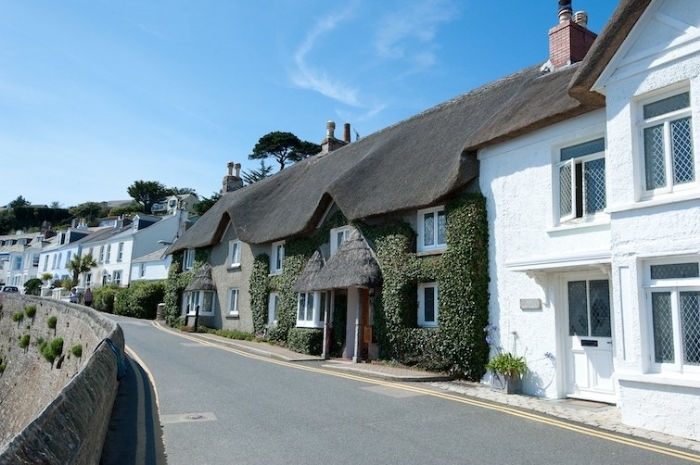 Lovely thatched cottage in an excellent location. 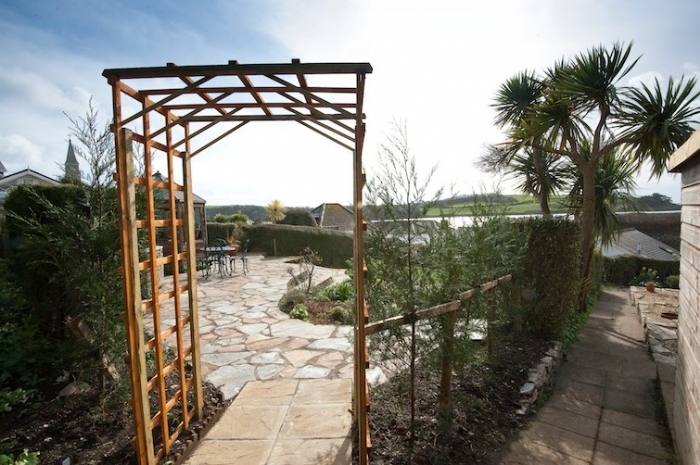 The property has a wonderful garden with superb views. 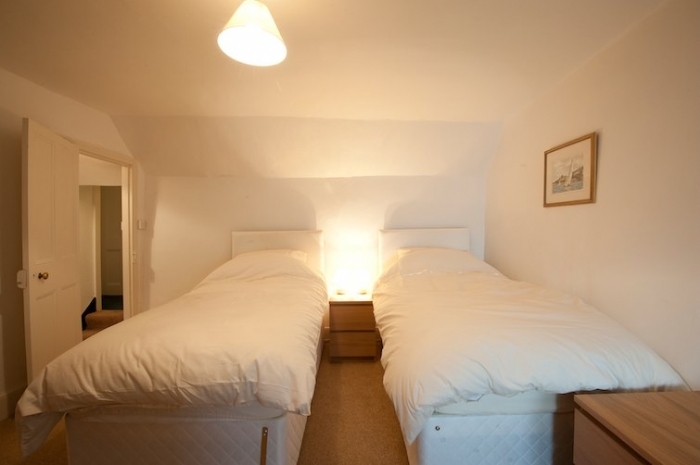 The cottage is so close to the sea, you can hear the sea lapping on the shore at night time. 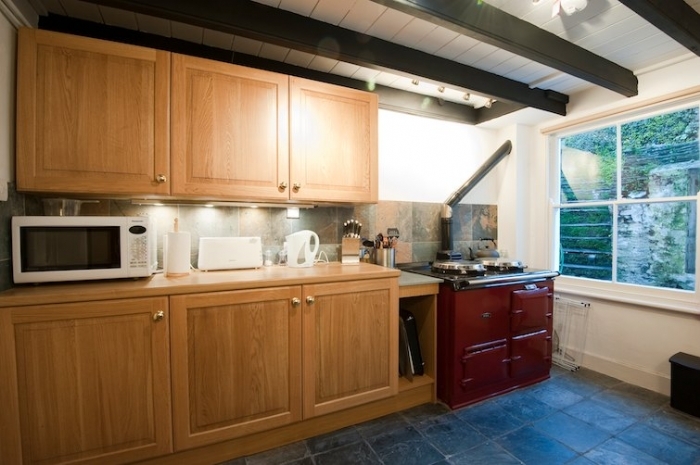 It was Very well equipped kitchen complete with AGA. We were a family of 5 with 3 dogs and we all had a wonderful time. Beds were very comfortable. The cottage is a little dated (I know its very old) but we just felt that perhaps the price is a little expensive for the condition of the cottage. We always enjoy our time at sea cliffs. In need of attention summer house equipment very poor , no sun shade shed collapsing . The garage entrance is so narrow it?s a hazard to most vehicles , it wouldn?t take much to enlarge the entrance without Having to enlarge the structure.. Everything else ok.
We are regular visitors to St Mawes and this was a weekend break with family. The location is excellent at the top of Tavern beach. The house is cottage-style with plenty of history. Only criticism would be that the kitchen is a little awkward to work in. Certainly a great place to stay though. Very good location right on the beach and with beautiful sea views. Only a 3 minute stroll down the road to the pub/supermarket etc. 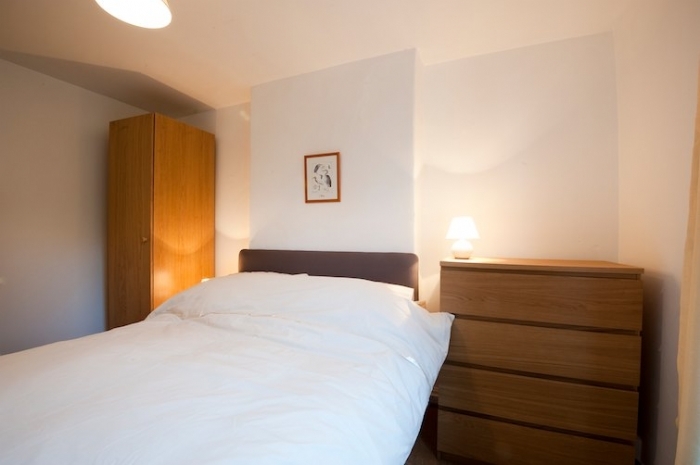 Clean and tidy with comfy beds. All in all very happy. 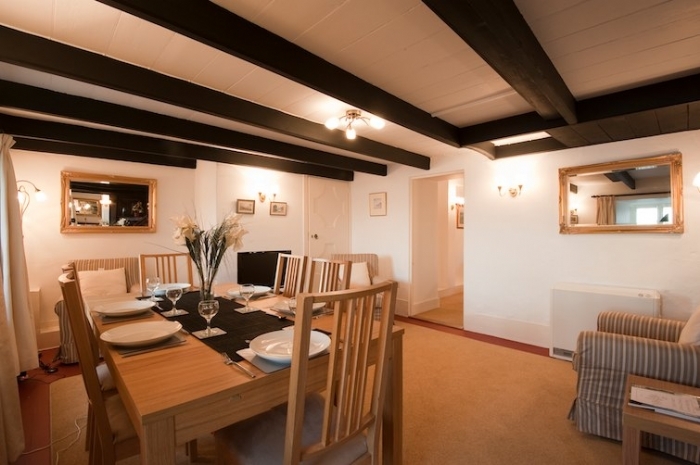 An excellent location with superb facilities makes this cottage one of the best we have ever stayed in . Despite some modernisation it retained bundles of character and charm that we love . Low ceilings in places meant some bumped heads and a new fridge is needed soon we think . Reply from leach family Thank you for your review. 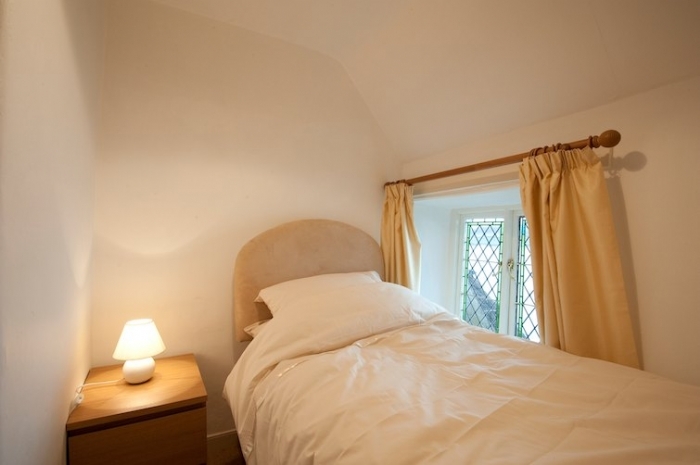 We are very pleased you enjoyed your stay in our lovely cottage and garden, despite apparently a rainy week? We have done some major refurbishment on the house since the last review and the very ancient front windows and their fittings remain on our 'to do' list, to be done during vacant weeks. This is the 7th year we have stayed in St Mawes for the October half term and were delighted to have secured Seacliffe Warren to stay in but all in all it was a disappointment. It is by far the most expensive property we have stayed in (£1300 for a week) but the accommodation just does not match up to it - showers are dribbly, beds are doubles (not kings) and we'd expected feather duvets etc but all felt a little tired. What it does have going for it is location, location, location but this comes at a cost in that everyone walking past peers into the sitting room. Seacliffe Warren is a lovely comfortable cottage. It is in a great location with easy access to Tavern Beach. You can literally lie in bed and watch the yachts from 2 of the bedrooms. The aga makes it cosy for an Autumn stay. In parts it is a little tired but then it is very old. We would certainly come again, lovely stay. Had a great week at Seacliffe Warren, Very spacious, perfect location, with the added benefit of its own garage and parking area, the garden is a fantastic place to spend the sunny afternoons having a BBQ and watching the boats go past. 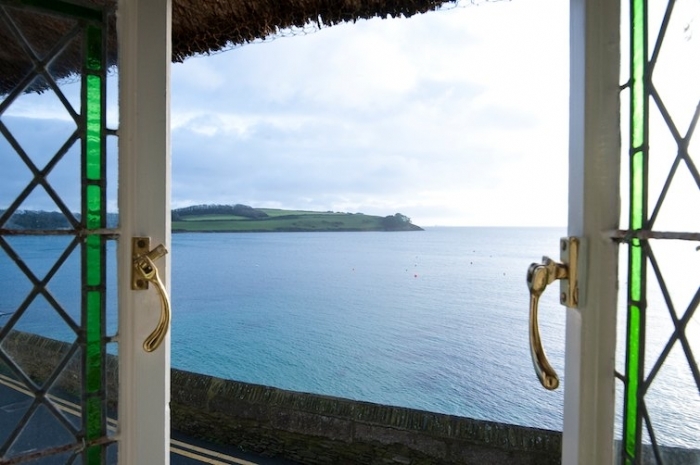 The perfect spot in St Mawes with a lovely view and a short walk to the harbour and shops. 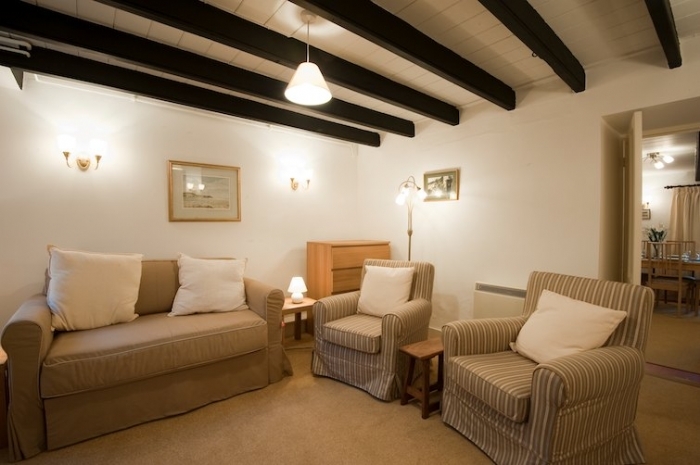 The cottage is comfortable without being luxurious and all needs are catered for. The cottage was charming but is in need of some TLC, mainly the cleanliness. The lay out did not work too well for a large party i.e seating/dining. But in all, we had a lovely holiday and will be returning to Cornwall and will look at accommodation via Cornwall Cottages. 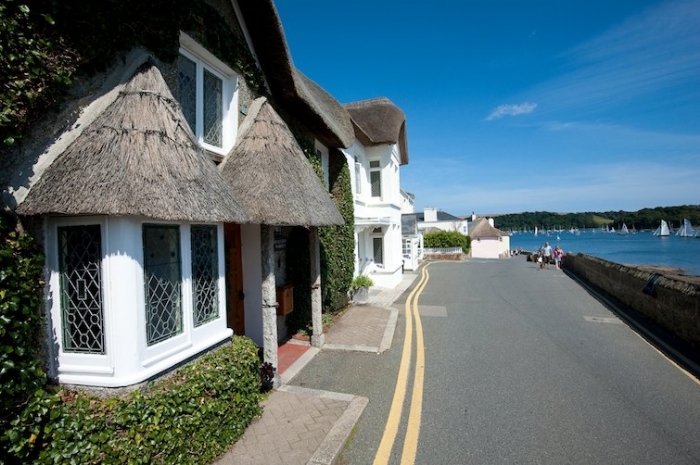 The village of St Mawes is beautiful and this cottage is the backdrop to most people's Selfies when they walk past! Add to that the fact that it is on the seafront overlooking a superb bay and you realise that this is a fantastic location for a holiday. 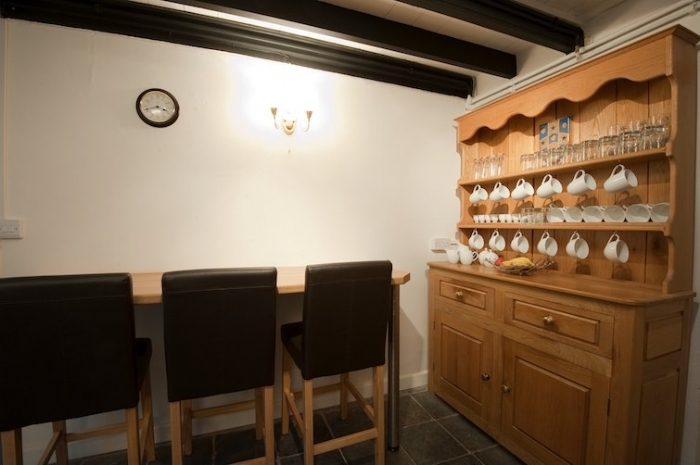 The cottage is well equipped and sleeps 6 people very adequately. A really relaxing stay. A lovely week in a pretty cottage, well stocked and cosy with aga and real fire! Some minor Changes could make it even better; Downstairs shower dirty (hairs) Lack of good sized settee in front lounge, TV would also be better in front lounge rather than dining area as seating not comfortable in dining area ( to relax and watch TV) Desperately needs proper sized bath towels please! Disappointed with kitchen / layout - impossible to access garden/ fridge etc whilst someone is loading dishwasher and that area of the "kitchen" is more like a "utility" room than a kitchen! 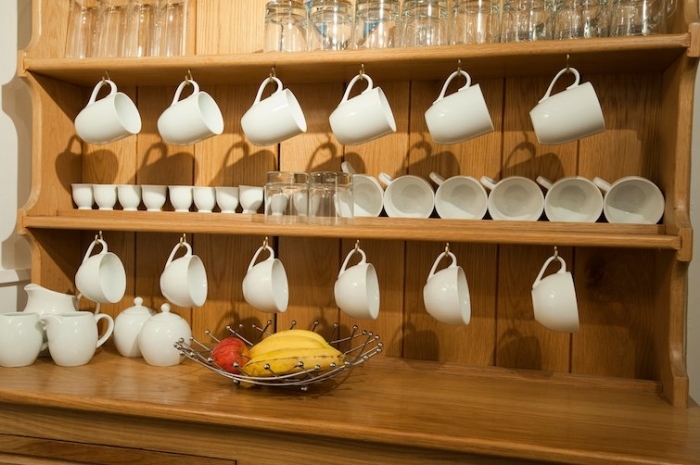 Having said that, we were impressed with the excellent range of utensils, crockery and dishes! Felt a bit like being in a fish-bowl - people staring in through windows! Glad we went April and not busy summer months! A very nice cottage to spend a few days in, but I was pleased there were only 2 of us. 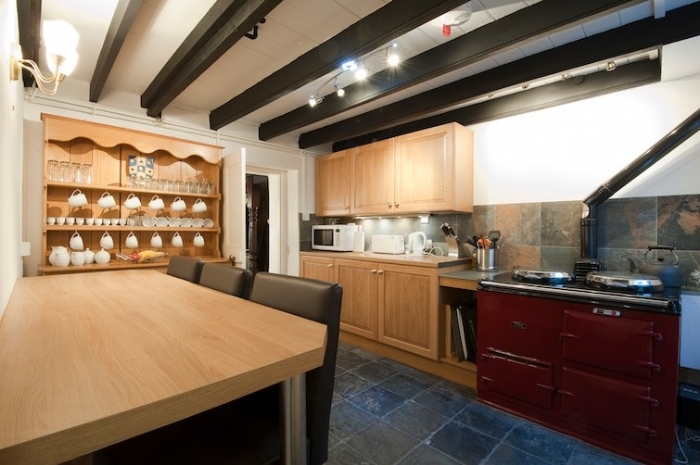 I was thinking of booking a further week in the summer for 7 including 3 children, but I am afraid that the kitchen arrangement is not good enough. 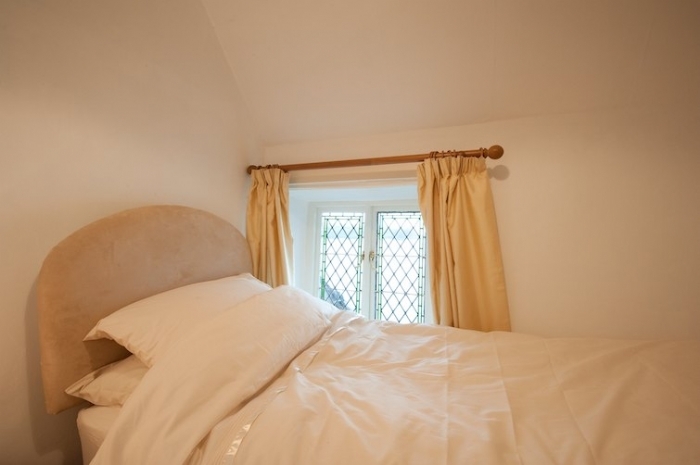 The bed linen was too small for the two linked beds and the bedroom window sills were awash after heavy rain. The garden was lovely but not at all practical for a Labrador pup. The weather was appalling and we left a day early so that we were able to pack up the car at our leisure and when it wasn't raining. Having said all that we thoroughly enjoyed our stay in St Mawes and the dog loved the beach. First class holiday in a cottage that we never thought would be for renting, so many times we have admired this cottage on other holidays, now we have had one too. We gave out your details to other admirers too, so many people told us they loved 'our cottage', will be in contact again for another holiday soon. Had a wonderful fortnight here in this dear cottage. The children had a fabulous time on the beaches and crabbing was a highlight - caught 35 one evening! Such fun. We're looking forward to next summer already. Very comfortable bed in front bedroom. Great food at The Idle Rocks and Tresanton, also at Wreckers at Charlestown and Hook in Truro. The most amazing week in St Mawes! 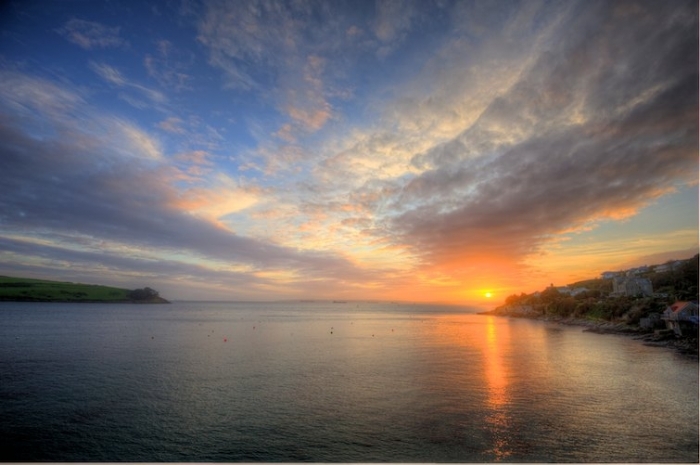 We all love Cornwall and have very many fond memories going back generations. Seacliffe Warren is now a very firm favourite! 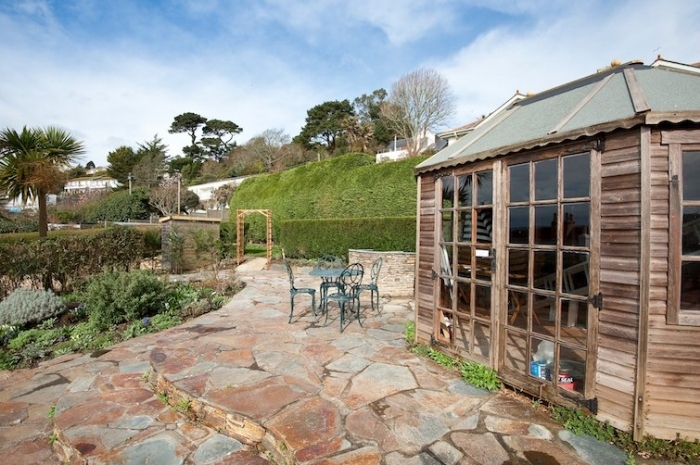 Love this cottage, garden, location, aga - all fabulous! 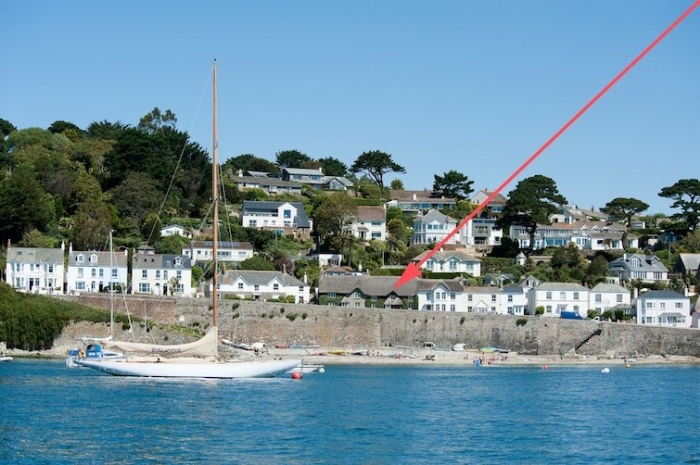 St Mawes is a dream, beaches, canoeing, fishing, G & Ts on the 'balcony' overlooking the beach - so many people took pictures of the cottage and looked in enviously. We all pretended it was ours!! Weather brilliant too! Be back next year. Thank you. Had a lovely and relaxing stay. Our dog particularly loved being close to the sea. House is very cosy with the fire and aga and very comfy beds! Our third visit to Seacliffe Warren. Comfortable and welcoming as usual. Three generations and a dog had a lovely time, and look forward to returning next year. A second wonderful holiday in Seacliffe Warren. The Tall Ships added a magnificent pageant right outside the front door! Hope to be back next year. Lovely location and wonderful views. Relaxing in garden was great. Cosy, homely house and lovely beautiful place, garden blissful! Do hope to return. Many thanks. Two beautiful weeks here, hope weather lasts for the next lucky people staying at Seacliffe Warren. We will be back! Another wonderful week here. Family, with our two grandchildren, all had a great time in this dear cottage. A lovely break. We had a super time in a very special cottage, no doubt we shall be contacting you again in the future, your service is very good. We certainly could not fault any part of our holiday, perhaps the weather could have been a little better but hey! It Is October after all. Beautiful cottage in a remarkable setting. 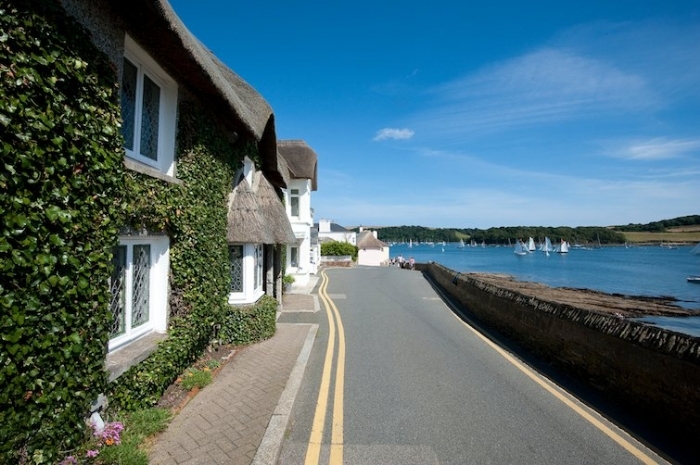 St Mawes is probably the best village resort in Cornwall. Seacliffe Warren unrivalled position, in 10 years this is the nicest cottage we have stayed in, warm cosy and comfortable. Exceptional weather - even as we leave the predicted rain didn't arrive! Lovely food everywhere, wonderful fish dishes of every variety. Thank you Seacliffe Warren and St Mawes. What a wonderful holiday, the weather could not have been kinder to us. Never been to St Mawes before but will definitely be coming back. Cottage was perfect and the view from the top of the garden went fabulously with our wine and cheese! The weather has been mostly kind to us during our month here. Best of all was buying the local lobsters and cooking a feast on the BBQ, watching the boats sail by. We also bought the mussels from the King Harry Ferry which were superb. Thank you and hope to see you again. Beautiful cottage with spectacular views, amazing garden, wonderful walks - this has been a fabulous week in probably the nicest village in Cornwall. We have all said that we would like to return here. What a fantastic cottage. We all had a relaxing chill out stay. Garden will probably look fantastic in summer. Unfortunately the weather was not great for us but did not spoil our stay as the log fire was fantastic to curl up in front of. We would definitely recommend this cottage to our friends. Very comfortable house, especially as the weather was extremely cold. All helped by having the benefit of the wood burner. Three generations stayed comfortably and all fitted in okay. Just to say that we had a lovely stay at Seacliffe Warren. Our bed was very comfortable (two singles zipped together) and the garden was beautiful. 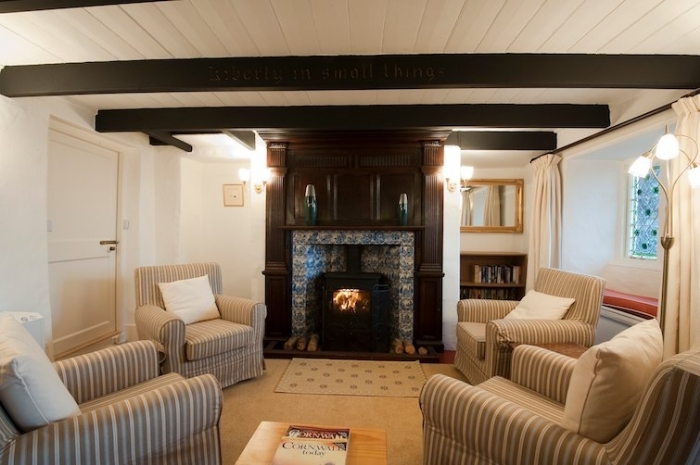 Although it was quite chilly outside we found the cottage cosy and very welcoming. Thank you again for making the arrangements and booking so easy. We hope to book through you again in the not too distant future! Fourth stay in St Mawes and a very comfortable one. Beautiful house and garden. 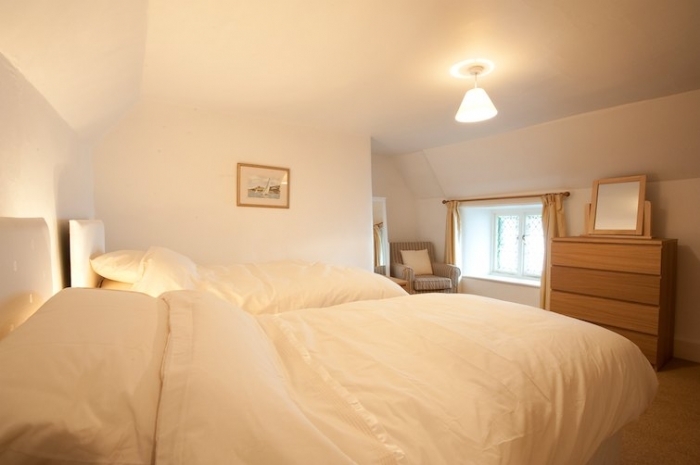 Return visitors over the last 20 years and stayed in various cottages and hotels. This has to be one of the prettiest cottages - everyone walking past seems to agree! We are return visitors over the last 20 years. We have stayed in various cottages and hotels. This has to be one of the prettiest cottages - everyone walking past seems to agree! Amazing few days, beautiful cottage and setting despite the heavy rain. We will be back again soon hopefully in the summer and with more time. Lovely week, so glad it is dog friendly and warmed. Late one night we were watching the sea and we saw the strange phenomenon of luminescence happening - an amazing thing to see and very beautiful. 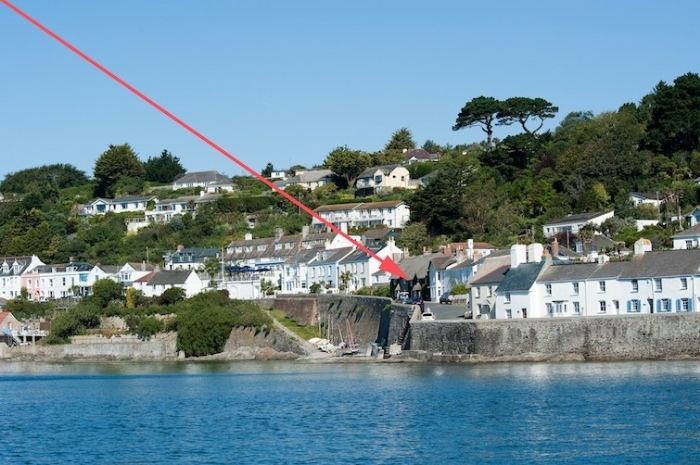 Location of the cottage was idea for everyone whether it be pottering about the harbour, taking ferry trips and other activities. Going to sleep with the lapping waves was wonderful. Our annual trip to St Mawes was made even more enjoyable and special by staying here. Lovely to be so envied by passer-by's who wish they were holidaying in this beautiful place. We all look forward to coming back. Beautiful location, lovely house. A privilege to stay here in one of the oldest houses in the village - fascinating history account in the file. What a dream to stay in such a beautiful house. So lovely to go to sleep listening to the sound of the waves. It was fun seeing so many people stop and admire the house and take photos. The house worked well for a three generation family holiday. The week went by far too quickly and I shall be sad to leave. FABULOUS - Holiday, beaches, location, harbour facilities, area, pubs, rock pools, crabbing, fun, fun, fun. Bedrooms and living space wonderfully designed. Had a wonderful holiday with my lovely family in a lovely and beautifully presented chocolate box cottage. Brilliant garden for dogs. All in all one of the nicest places we have stayed in St Mawes. 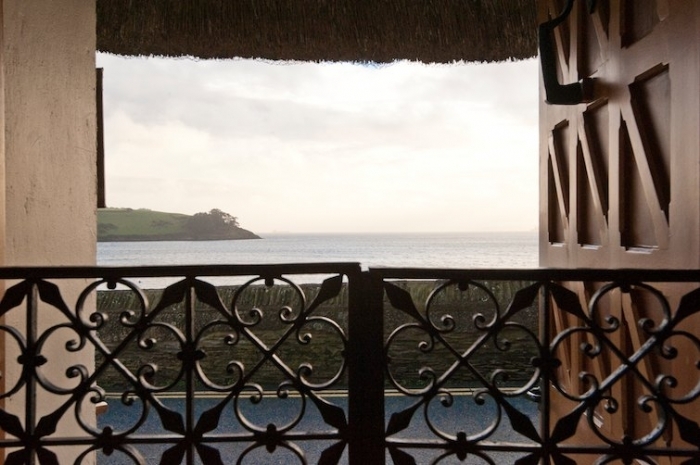 Wonderful location with spectacular views across the Bay. 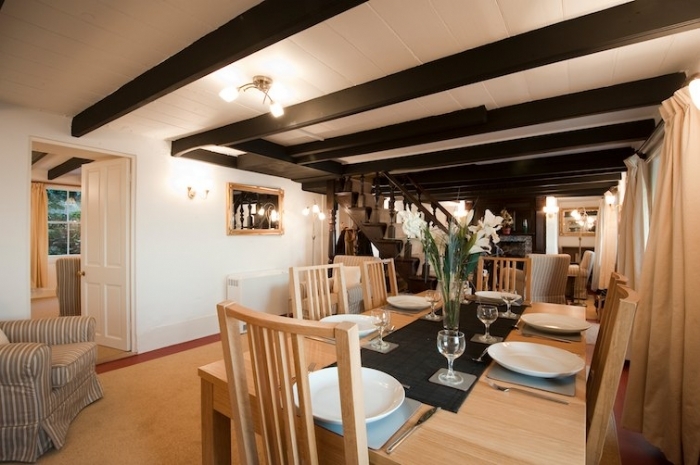 Seacliffe Warren is a cosy house and works well for our party of 6 plus one Jack Russell. Given we had some cold windy weather, the log burner was great to come back to after sailing. 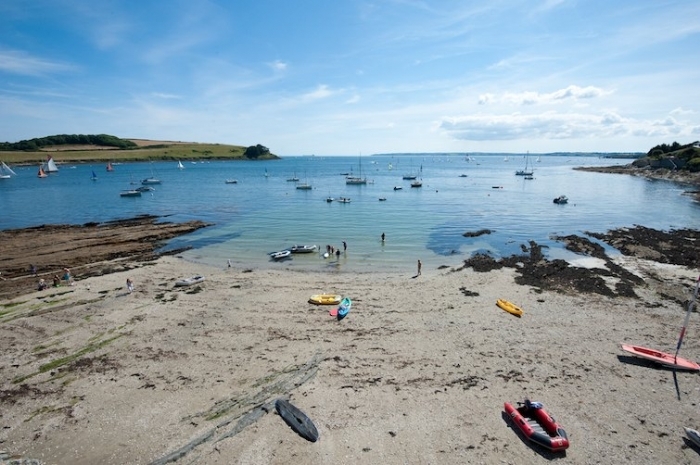 We will be back to St Mawes again. 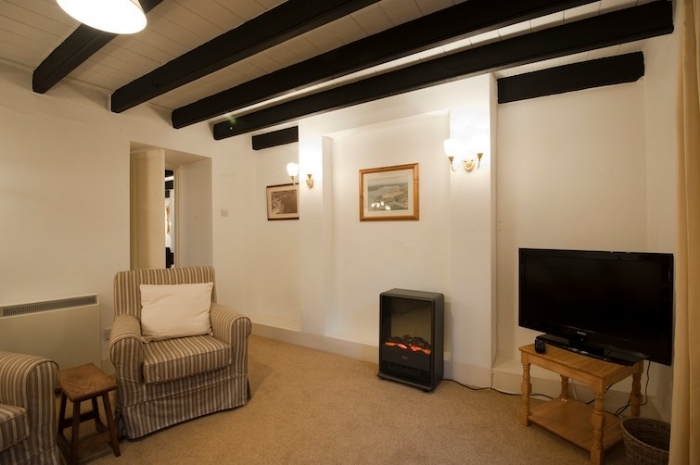 Seacliffe Warren is a very welcoming house – you immediately relax as you step across the threshold. It has been extremely cosy when we had ‘to batten down the hatches’ in the storms at the end of the week – a week is too short! This has been the most relaxing and restorative holiday. 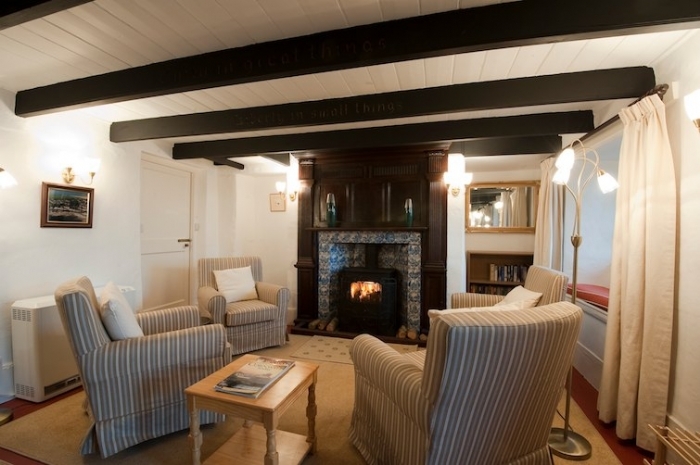 The cottage is beautiful and so comfortable...we do not wish to leave. We have been visiting St Mawes for over 30 years and have always been fascinated by Seacliffe Warren. So it was an absolute delight to stay here. The house was absolutely perfect for us. 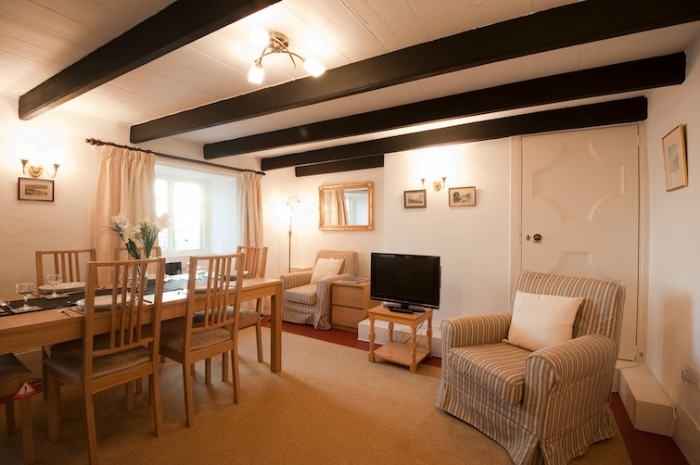 What a wonderful cottage for a relaxed winter stay. Being able to stare at the sea through the windows while sitting by the log burning stove made even the wildest days a joy. 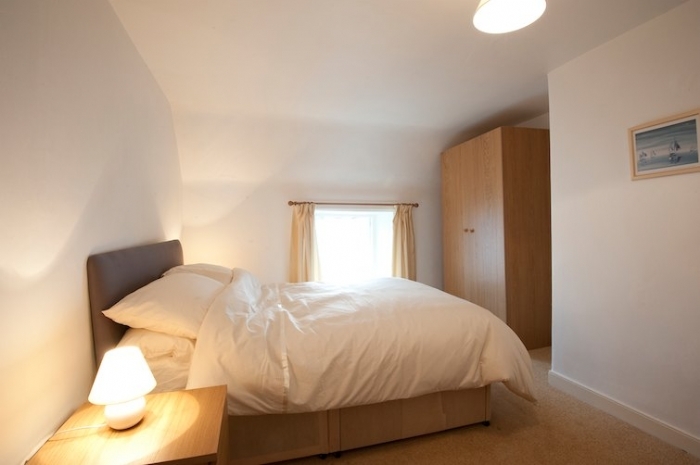 The space is very flexible too and still feels very cosy for a couple. In January the village was very quiet, but just what we needed to recharge our batteries and get away from it all. On the sea front with diamond paned windows, thatched and covered in ivy, it must be one of the most photographed cottages in St Mawes. 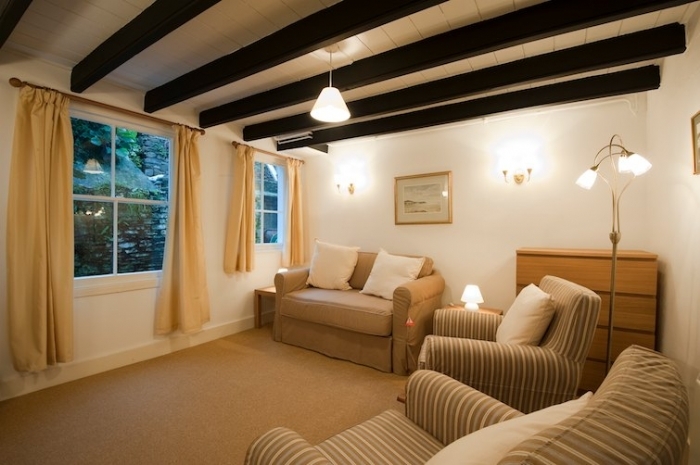 This beautiful old cottage with a large garden has been refurbished to a high standard and provides flexible and spacious accommodation in an excellent location for access to Tavern beach and the centre of St Mawes with all its facilities. 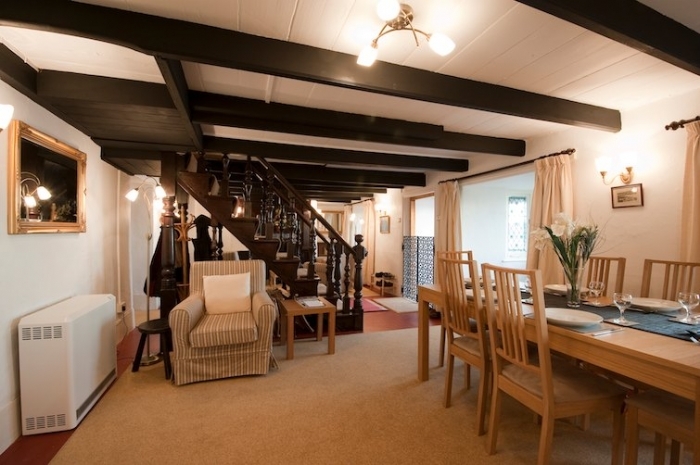 Key features of this unusual property are an open plan front room running the length of the house with a beautiful staircase in the middle, one side offers a cosy seating area with log burning stove, the other a dining and TV viewing area. 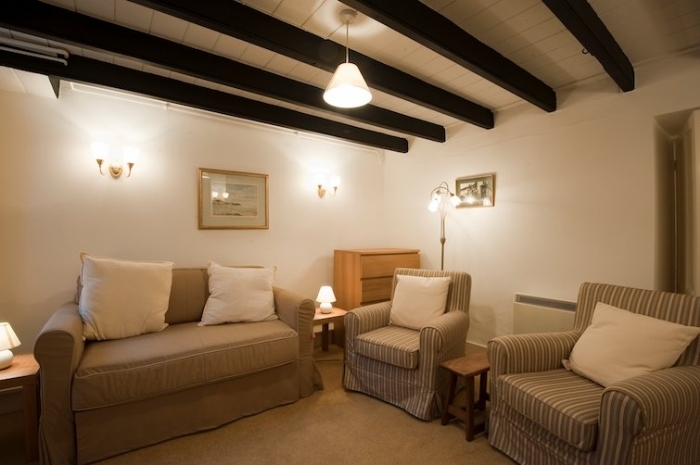 In addition there is a separate TV room containing a sofa bed and chairs and a ground floor ‘wet room’ with under floor heating specifically adapted for guests with disabilities, with a disabled toilet, basin and seated shower, the shower being equally useful for those returning from the beach, sailing or walking. 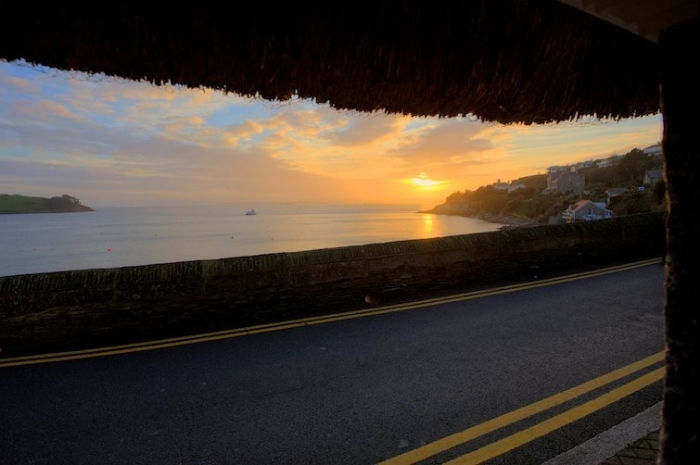 The three front sea facing bedrooms allow one to lie in bed and take in the view. 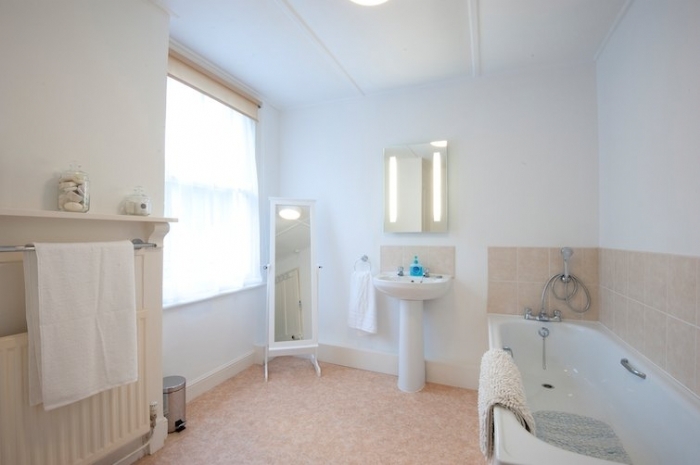 The first floor also offers a second shower room, a family bathroom and separate toilet. 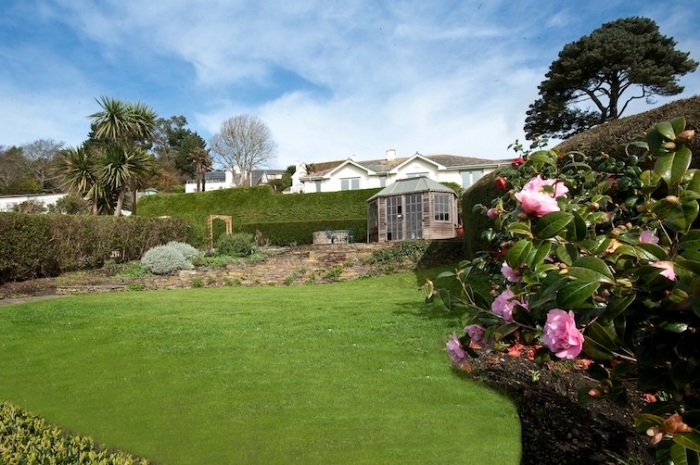 The large, prettily planted and lawned garden with sea views from the summer house provides separate seating areas for reading and sunbathing together with barbecue facilities. The garden also has step free access from the rear. Two parking spaces are available at the top of the lane above the house. 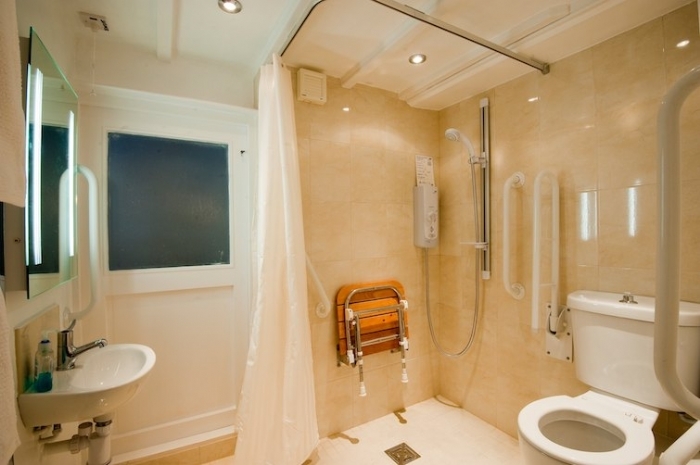 We do recommend that if wheelchair users have any particular requirements that they check with us before booking to avoid any possible disappointment. 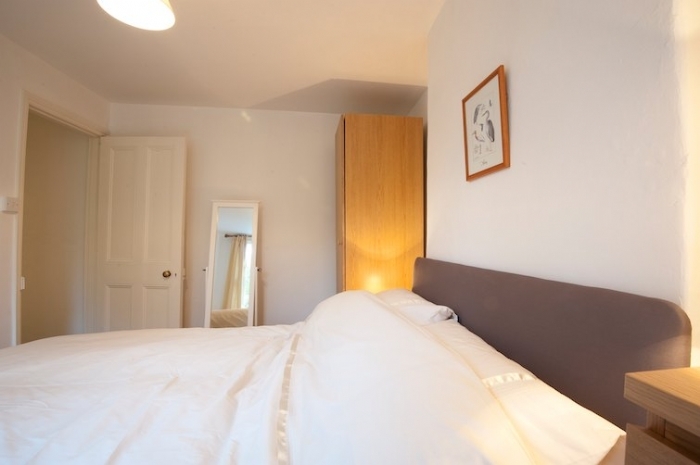 Ground Floor: Sitting room, dining room / lounge with TV, separate TV room with small, low double sofa bed, kitchen, utility room, disabled access wet room with shower and WC. 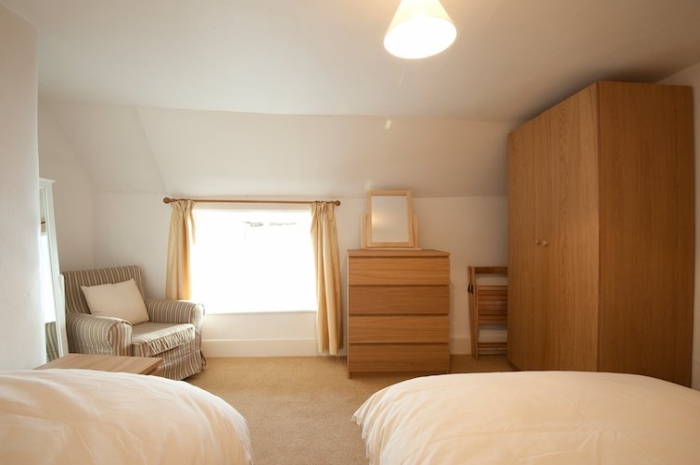 First Floor: Two double (4ft 6ins) bedrooms, one twin/double bedroom with zip & link 3ft beds, one single (3ft) bedroom. 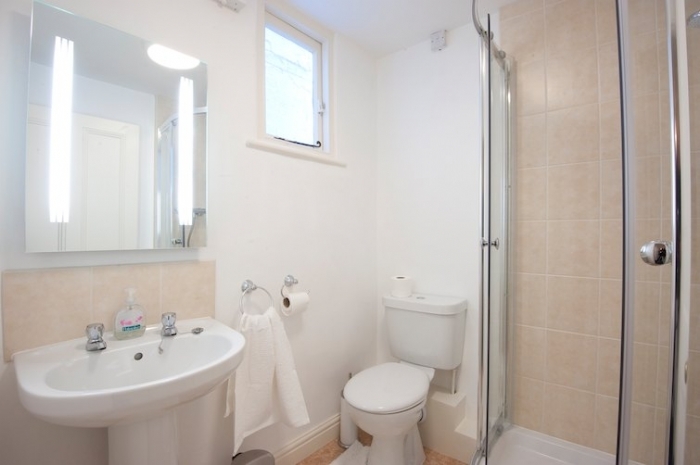 Family bathroom with bath and handheld shower, shower room with WC and additional separate WC. 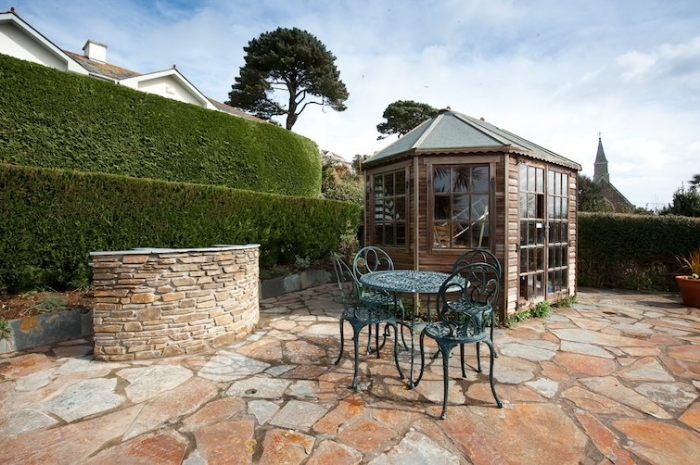 Exterior: Fantastic large garden with sea views, BBQ area and garden furniture. Please note that the built-in BBQ pictured can only be used with disposable BBQs and the summer house is not for the use of guests. 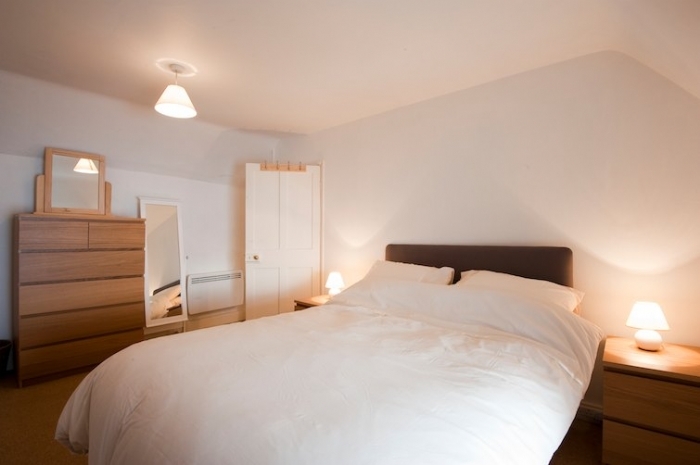 There is night storage heating, a wood burning stove, panel heaters and an Aga. 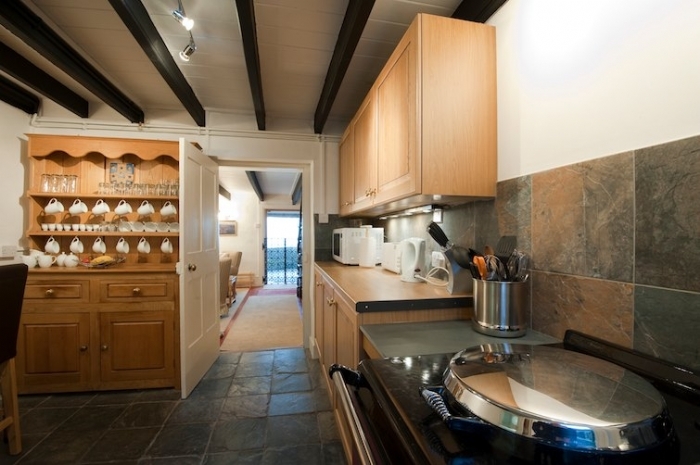 The kitchen has a range of modern units with an Aga, microwave, fridge with small freezer compartment. There is a washer/dryer and dishwasher. 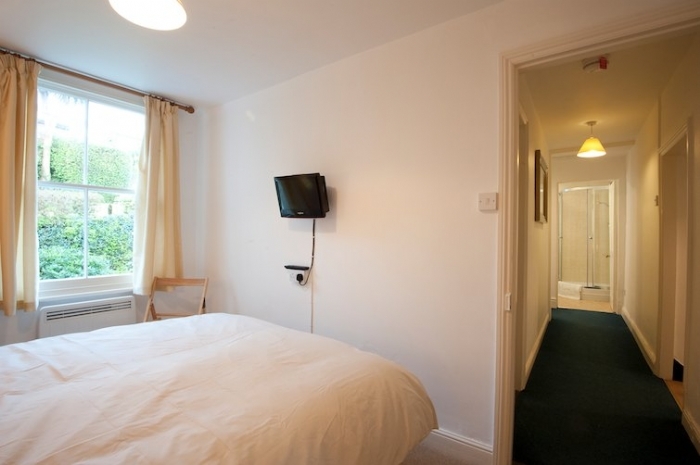 The sitting room has a flat screen digital TV with freeview, & DVD player, which can also play CDs and broadcast radio. There is an iron & ironing board. WiFi is available at the property. Two cots and a highchair can be provided on request. A stair gate is also available on request. 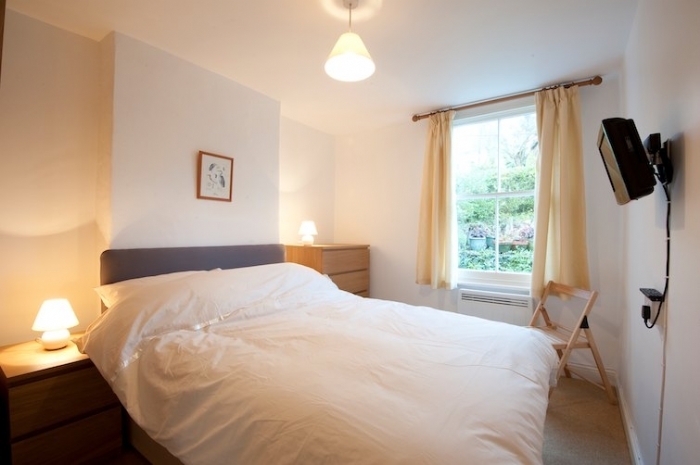 Electricity , heating, bed linen & towels are all included. Approximately 100 yards from the property there is parking for one car in a garage and one immediately outside the garage. Garage dimensions are: Door opening: H 2m, W 2m. Once through the door: L 5.3m, W 4m. Outside space in front of garage: L 4m max, W 4m. Tall 4x4s won't fit in the garage nor will roof boxes. Up to three well behaved dogs are permitted at a small additional cost of £25 per dog / per week. We regret no smoking is permitted within the property. Arrival / Departure is a Friday. Short breaks are available.